Pune-based Padmakar Kelkar has developed a solar-powered crop irrigator that can be a huge boon for farmers in these times of failing monsoons and 14-hour rural power cuts. Center-pivot irrigation (sometimes called central pivot irrigation), also called circle irrigation, is a method of crop irrigation in which equipment rotates around a pivot. Central pivot irrigation is a form of overhead (sprinkler) irrigation consisting of several segments of pipe (usually galvanized steel or aluminium) joined together and supported by trusses, mounted on wheeled towers with sprinklers positioned along its length. The machine moves in a circular pattern and is fed with water from the pivot point at the center of the circle. The outside set of wheels sets the master pace for the rotation (typically once every three days). The inner sets of wheels are mounted at hubs between two segments and use angle sensors to detect when the bend at the joint exceeds a certain threshold, and thus, the wheels should be rotated to keep the segments aligned. Centre pivots are typically less than 500m in length (circle radius) with the most common size being the standard 1/4 mile machine (400 m). To achieve uniform application, centre pivots require a continuously variable emitter flow rate across the radius of the machine. Nozzle sizes are smallest at the inner spans to achieve low flow rates and increase with distance from the pivot point. MIT’s Technology Review (India Edition) covered this a couple of weeks back (the same article also appeared as a featured innovation in DARE magazine). Kelkar’s technology was one of the featured innovations in the IITB-Alumni Association’s Innovations conference in 2008 that happens every year in Pune. (By the way, Innovations 2010 is happening in a couple of weeks – you should consider attending). The solar panels charge the battery, and this in turn runs the machine when there is no sun. “We have run the machine 19 hours continuously without solar energy at all,” says Kelkar. The use of solar panels could be a boon for farmers in those states that get ample sunlight but not enough electricity. Other advantages include water savings of about 30-50 percent over other pivots, zero land erosion, 30-50 percent more yield, higher return on investment, and minimum labor requirements. Compared to the drip irrigation, Kelkar’s pivot is more cost-effective. “Drip irrigation may cost around Rs 35,000 an acre, whereas my machine costs around Rs 45,000 an acre. But the cost in case of drip irrigation includes laying it out in the field every time and taking it out once it gets damaged, and you may have to spend another 15 percent every year. On a long-term basis, the cost of my machine comes out to be much less,” he adds. Having already spent 20-25 lakhs of his own money in developing the technology, Kelkar is now looking for funding to start commercial production. One of the sources he is considering is the Government of India’s Technopreneurship Promotion Programme (TePP). (PuneTech had covered TePP about an year back. 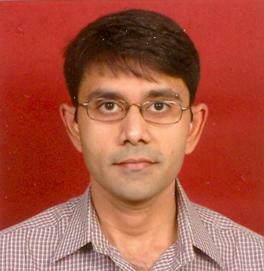 In his efforts at finding funding, he is being helped by Pune’s Venture Center. You can see all of our coverage of Venture Center’s activities here. Thanks to @kaushikgala for tipping us. Also, you can follow MIT Technology Review’s India Edition here. The Pune Open Coffee Club and Venture Center, Pune presents a talk by Samir Patel, on what are the characteristics of a startup that will ultimately become an enduring company. The talk is on Saturday, 28th November, from 10am to 12noon, at Venture Center, NCL Innovation Park, Pashan Road. Map. (To reach Venture Center, go past NCL towards Pashan, pass the cricket ground adjacent to NCL and then you’ll find NCL Innovation Park / Venture Center on the right hand side.) This event is free for all to attend. No registration required. Start-ups with these characteristics have the best chance of becoming enduring companies. Samir Patel founded SearchForce that helps manage search marketing campaigns in a burgeoning $6 billion yearly online advertising market with its algorithmic trading platform. At iPIN, later acquired by Valista for $50+ million, he designed the world’s first open scalable mobile payments platform. Samir also crafted the go-to-market strategy for eBay‘s apparel division, which is now a $500 million business unit and growing. He devised efficient systems for Stanford Graduate School of Business in the area of analytics, courseware management and security. Much quoted in CNN, BusinessWeek, Reuters and Mercury News, Samir has a B.S. in Computer Science and an MBA in Brand Marketing from Cornell University. He teaches entrepreneurship and new venture creation courses at the University of California at Berkeley and at the Small Business Administration. During his 2009 sabbatical, he walked solo for a 1000 kilometers in the wild Himalayas and along the Narmada river with two pairs of clothes and little money. He heads various projects at Manav Sadhna (http://www.manavsadhna.org) and GramShree at Gandhi Ashram at Sabarmati, Ahmedabad. See the profile of Venture Center on the PuneTech Wiki for more information. 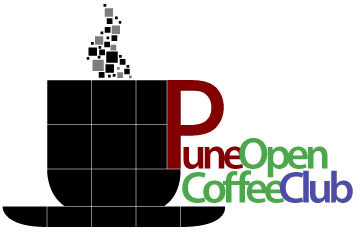 The Pune OpenCoffee Club was started to encourage entrepreneurs, startups, developers, startup advisors and investors from Pune to organize real-world informal meetups to chat, network and grow. Our members also include lawyers, accountants and freelancers who work with startups. POCC is different from other organizations aimed at Entrepreneurs (like CSI Pune, SEAP, TiE Pune, NASSCOM Pune) mainly because of the informal format, and also because of the fact that it is free (i.e. there are no membership fees, and there are no entry charges on individual events). In other words, anyone could announce and arrange a networking event at the cafe round the block. Thanks to the informal approach, the group allows wacky ideas like the startup lunch initiative to be popularized. See the profile of POCC on the PuneTech Wiki for more information. The Venture Center is a not-for-profit technology startup incubator hosted in the National Chemical Laboratory (NCL), Pune. One of the services they provide their incubatee startups is a guide to the various government funds and schemes that a technology startup can avail of at different stages of their development, depending upon meeting certain criteria. This is information that most entrepreneurs are not aware of. With this in mind, Venture Center has put out this guide to the Financing Landscape in India for Technology Ventures. This guide is a must read for all startups interested in funding. You can simply browse this information, and read the rules and regulations of each of these 38 funds/organizations. Or, if you want to be handheld your way through the maze, you can avail of Venture Center’s advisory services. For more information about Venture Center, you can see PuneTech’s interview of Kaushik Gala, the business development manager for Venture Center. For more information about Venture Center see recent PuneTech coverage of Venture Center. To nucleate and nurture technology and knowledge-based enterprises for India by leveraging the scientific and engineering competencies of the institutions in the region. Envisioned Future: To be the organisation that will be credited with creating, shaping and sustaining a “Pune cluster” of innovative technology businesses with a significant economic impact regionally, nationally and globally within the next 20 years. 1. What is Venture Center? Entrepreneurship Development Center (‘Venture Center’) is a technology business incubator approved by the Department of Science & Technology, Government of India. Venture Center is incorporated as a Section 25 not-for-profit Company established under the Companies Act 1956. Venture Center was setup with support from the Department of Science & Technology – National Science and Technology Entrepreneurship Development Board (DST-NSTEDB) and National Chemical Laboratory (NCL) (constituent lab of the Council of Scientific and Industrial Research). 2. What are the services that Venture Center will provide incubatee companies? · Infrastructure – Dedicated labs, shared work-benches, analytical facilities, offices, hot-desks, etc. · Advisory – Intellectual property, business planning, startup nuts-and-bolts issues, etc. · Fund-raising – Seed stage fund raising from various sources including government agencies (eg. MoMSME), professional investors, etc. · Information and learning center – Library, databases, workshops, seminars, etc. 3. At what stage do you expect innovators and/or startup companies to approach you? We offer resources and services at all stages of an early-stage technology startup – ranging from idea/conception, to prototype to Series A/B financing. 4. Obviously you are not interested in incubating any and all startups? Can you describe, with some examples, what sectors you are limiting yourself to? Our focus is on the areas of material, chemical and biological sciences and related engineering / software ventures. However, some of our services are open to all individual entrepreneurs and startups. Specific examples include startups that have commercialization technologies related to surgical implants, membranes for water purification, CFD and modeling solutions, etc. 5. Are the innovators expected to move to Pune, into your facility, to avail of any of your services? For startups that need our infrastructure facilities, being located in Pune is obviously preferable. However, for services such as advisory and fund-raising, they can be located outside Pune as well. 6. How is Venture Center funded? What are your long-term funding plans? · Partnering with other R&D labs, domestic/foreign incubators, etc. You can find out more about Venture Center at its website which is packed with a huge amount of detail. Information about the executive team behind Venture Center is here.